That amazing voice that you’re hearing is none other than Mattias Alkberg, one of Swedens absolutely finest vocalists/lyricists/renegade geniuses. 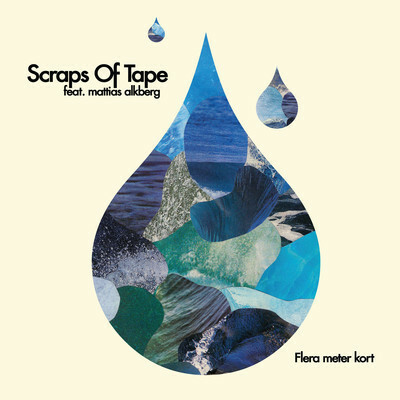 Flera Meter Kort will also be released as an extended 3-track EP via iTunes, Bandcamp, Spotify etc. and also as a 4-track limited 7” vinyl on August 15! The 7” vinyl can be pre-ordered now directly from the Tenderversion store. All who pre-order will receive a digital download of the 3-track EP shortly after the completion of the order. All who order after August 15 will instead receive a download coupon along with the 7”. This 7″ is a joint release between Tenderversion and our very own label The Noble Beast Of Malmö. Äspö-festivalen in Trelleborg on saturday! Be there or be elsewhere.But yr gonna miss out!!! We’ll have a very special guest with us on stage.